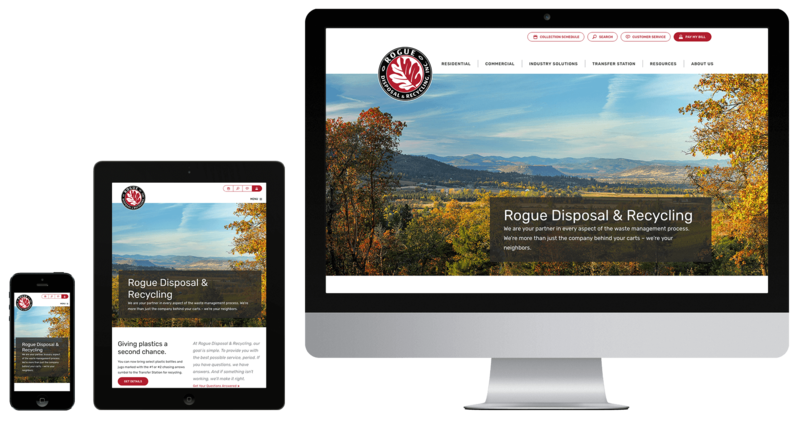 Whiling working at Daylight, I partnered with Rogue Waste Inc. to help the Medford, Oregon business rebuild their marketing website. What sounds like a straightforward project turned out to be a very involved dive into the inner workings of the waste management industry. 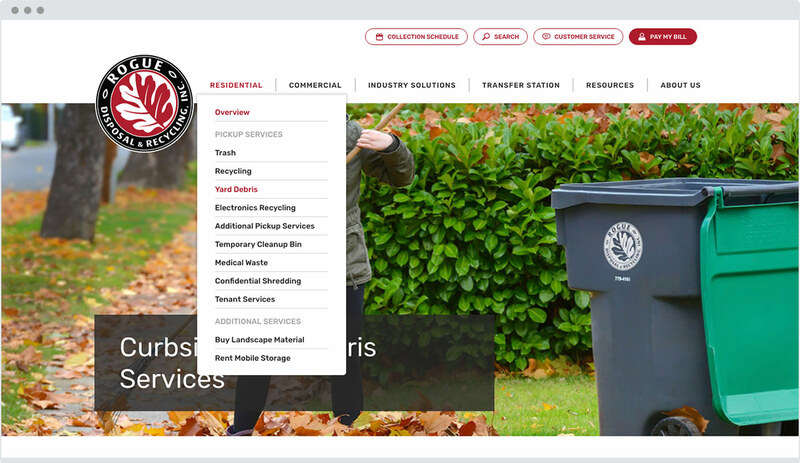 Our goal was to help Rogue Disposal & Recycling better provide their services, customer support and tell a brand story that would help them secure future service contracts. 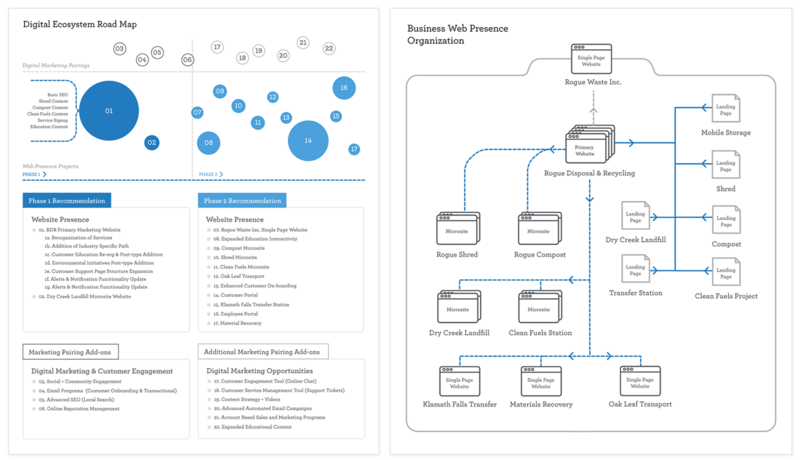 The result of a near year long engagement was the completion of a thorough business discovery audit and a new digital brand pattern library from which we built a 130 page Craft CMS managed website. Daylight visited the Rogue team down in Medford for a facilities tour and Q&A sessions, where we researched the business to grasp on what digital solutions would best fit their needs. We quickly uncovered the size and complexity of the business, realizing a single marketing website would not satisfy the broad customer base. Starting with a digital ecosystem, the Daylight team mapped a high-level picture of the digital properties that Rogue should have on their radar. Then we dove into specifics on the highest priority project, researching the Recycling & Disposal services being provided and the customer’s journey with the business. During discovery Daylight charted a path for all of Rogue’s businesses, how they should connect with one another online and paired them with marketing strategies. 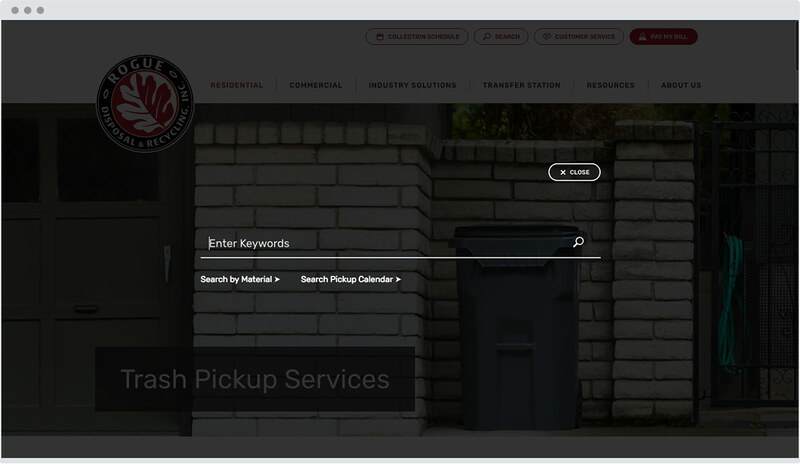 After discovery Daylight’s focus turned to a new marketing website build for the largest of the Rogue businesses, the Disposal & Recycling business. 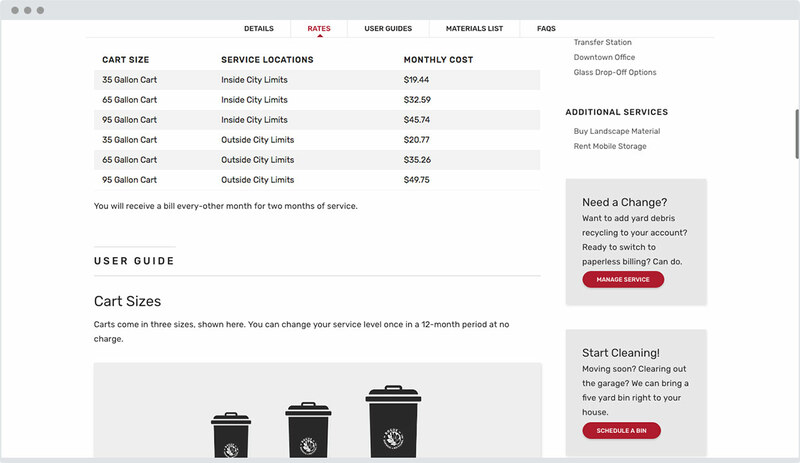 The complexity of the website build grew as we worked through user personas and flows. 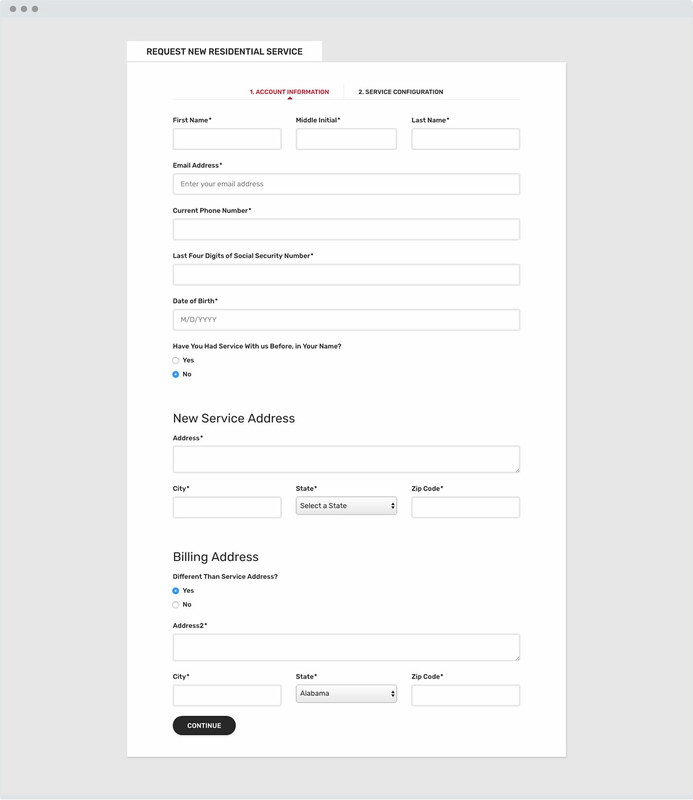 The website needed to present multiple messages at one time and have them discovered by the reader in priority. Brand environmental stories couldn’t overshadow a service update and a service update couldn’t interfere with an urgent weather alert for example. Daylight not only created a CMS managed messaging platform that interjected the right message along every step of the user’s journey but we also created the visual hierarchy to properly convey the messages. When building up Rogue’s style guide, we knew there needed to be a robust pattern library that would direct the design and development for many more digital products to come for Rogue Waste Inc. Extra time was taken to iron out any kinks between design and development teams to make sure we had a solid groundwork for expansion. I designed a comprehensive style guide and block guide with spacing and responsive sizing notes. 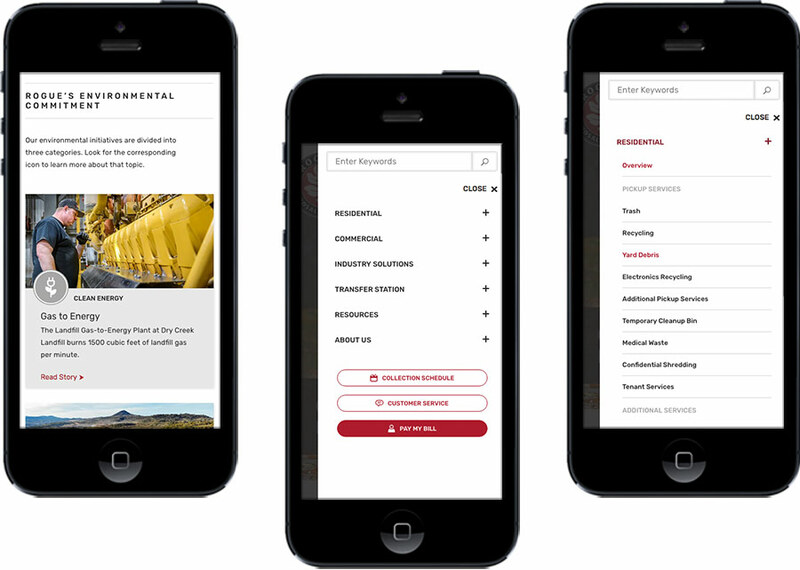 Wrapping up the project, Daylight launched a 130 page website with 2 blogs, 8 forms, a calendar look-up tool for customers and job listings for employees, just to name some of the many feature requirements. 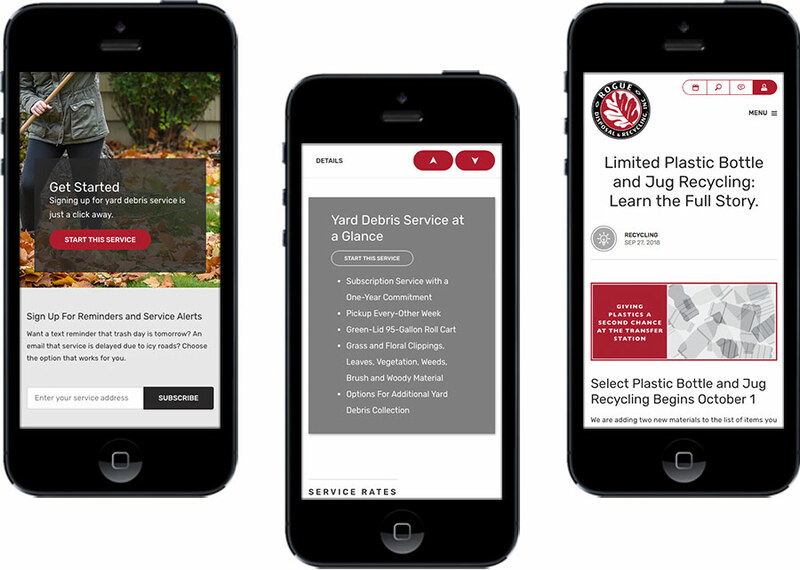 The complexity of the site build did not bog down the Daylight team in the execution of a cohesive user experience for new customers trying to sign-up for services and existing customers looking for waste material specific solutions. This project was executed while working with The Daylight Studio Team. The personal website of professional designer Tyler Davis. Specializing in digital product strategy and user interface design. This website was coded from scratch with love for the web.